Anthony Kachenko awarded the prestigious Kendle Wilkinson Award. 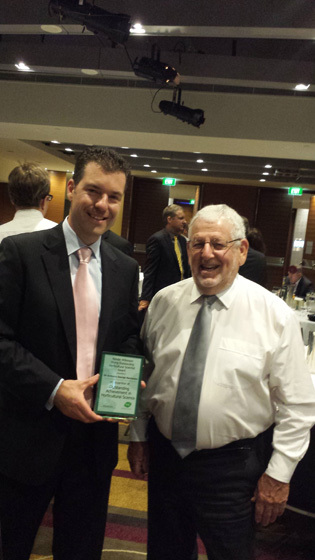 At the Horticulture Australia Limited (HAL) Awards recently, Anthony Kachenko was awarded the prestigious Kendle Wilkinson Award. The Kendle Wilkinson Award is named in honour of Kendle Wilkinson, a highly-regarded HAL Portfolio Manager, Industry Services Manager and Research Scientist who passed away last year. 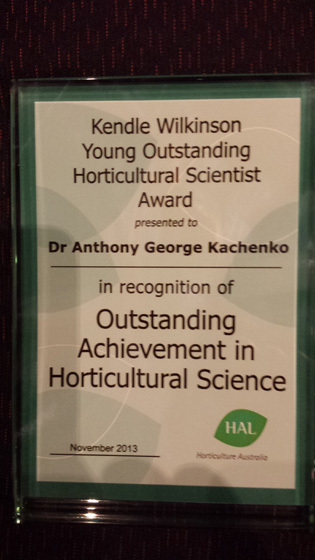 The Award honours an outstanding young scientist working in horticultural studies. Criteria for the award includes: candidates must have graduated with a Masters and/or PhD in Agricultural/Horticultural Science within the last five years; and be currently working in Horticulture, having done so for a minimum of three years. The Award winner will show a demonstrated ability to bridge the gap between science and best farm practice, be highly valued in their field of endeavour/work, possess excellent communication skills, demonstrate positive engagement with all stakeholders and have a strong, outgoing nature. 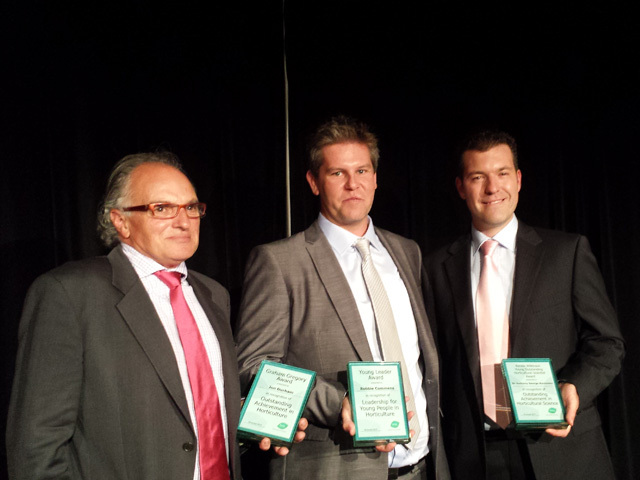 Photos (top to bottom): Anthony Kachenko (right) with other award winners; the Kendle Wilkinson Award; and Anthony Kachenko with David Cliffe, HAL Director and Life Member of NGIA.